The National Guard at Camp Villere operated often times at night, where they needed truck convoys to cross bridges. Unfortunately, the bridges weren’t lit and so there was a heavy risk of the vehicles careening off the sides of the bridge–that just wasn’t acceptable for the military since it risked the lives of soldiers and the cost of trucks, equipment, and other factors. They needed something to keep safety in the area higher. 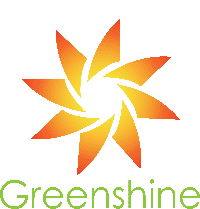 Camp Villere found Greenshine’s solar options and chose our Brighta 30U solar lighting fixture, a staple in our product line and a qualifier for the “Buy American Act”–perfect for their needs to light the bridge. The solar installation was incredibly easy for the team since it required no electrical wiring or trenching, saving Camp Villere several thousands of dollars and removing a pain point for their operations. Camp Villere now safely travels across the bridge, protecting the lives of soldiers and ensuring supplies and equipment are delivered to their destination. It turns out we deal in more than just lighting–we keep our own people safe, and we do it with the power of the sun.